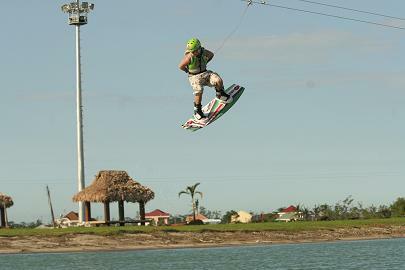 Camsur Watersports Complex is a unique watersports park designed for wakeboarding, wakeskating and waterskiing. 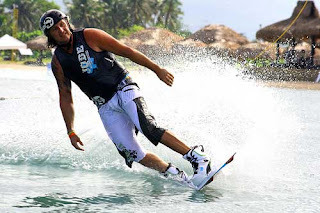 For beginner riders to the professional wakeboarders and skiiers from all over the world, CWC offers a 6-point cable ski system, coupled with restaurants, sand bars, spas, pro-shops and grand stands to hold guests. Riders can also enjoy their favorite water sports at night as the park will be equipped with spotlights that allow for it even to be open on evening. Take a flight to Naga Airport which is actually in Pili, Camarines Sur and take public transportation from them. Or you can take a bus to Pili and get off right at the gate of the Camarines Sur Provincial Capitol. 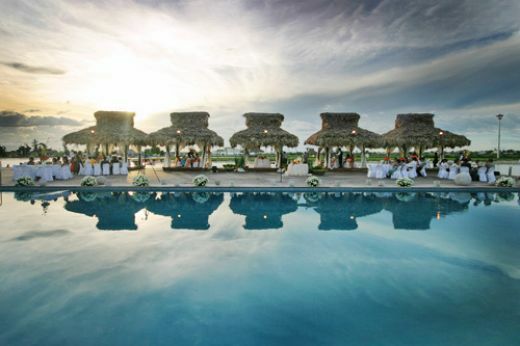 The Department of Tourism lauded Camarines Sur as a model local government unit in the thrust to develop tourism as a major national industry. This was the very complimentary assessment made by DOT undersecretary for tourism services and regional offices Oscar P. Palabyab before some 400 participants and guests at the opening ceremonies of the 8th National Convention of the Association the Philippines (ATOP) Wednesday evening, October 3 at the Camarines Sur Convention Center, crediting the tourism development initiatives launched by Governor LRay Villafuerte as largely responsible for the dramatic 27% jump in the growth of tourism in Bicol Region. Camarines Sur with its internationally acknowledged Camarines Sur Watersports Complex at the forefront has lately emerged as the leading destination in the Bikol Region, dislodging the province of Albay with its fabulous Mayon Volcano as the primary tourism attraction in this part of Luzon in terms of arrivals. Largely due to local initiatives, overall tourism growth has likewise reflected commendable growth, and if all local government with tourism potentials would follow the lead of Camarines Sur and more so if local efforts are organized as the ATOP presently headed by national president Jennylind Demerre-Cordero of Negros Occidental is striving to realize, tourism can very easily overtake foreign currency revenues from remittances of overseas Filipinos workers (OFWs), Palabyab said. And this will be at much less social cost like broken families, children getting addicted to drugs and Filipino nationals getting abused abroad or even coming home in a box, Usec. Palabyab who came as guest speaker in lieu of Sec. Ace Durano who is abroad, added. One positive note that would boost tourism development in the country was the explicit assurance of opening day keynote speaker Mandaluyong Mayor Benjamin DC. Abalos, Jr. that the League of Cities of the Philippines (LCP) of which he is president, as well as his wife Menchie who has the clout of the recently organized League of Mayors’ Spouses behind her, are fully supportive of House Bill 202 filed by Cong. Edgar Chatto of Bohol. Among others, House Bill 202 seeks the creation of tourism officer position in all first class municipalities and cities in the country or municipalities and cities where tourism is considered a major local industry. LCP will also work for the improvement of infrastructures like roads and transportation and the adoption of a coherent and comprehensive tourism plan that are essential elements to the industry’s growth and development. Mayor Abalos was equally effusive with his appreciation of Camarines Sur’s leadership in the tourism thrusts in Bicol Region that translated last year into over 200,000 tourist arrivals in the province accounting over P100 Million or close to half of the entire tourism revenues in the region. I really want to try this what they called wakeboarding here in the Philippines.Especially they do it in Camarines Sur.Thank you for sharing this.